The Range Stormer is a cool and menacing product built by West Coast Customs. The three-door Range Stormer instantly brings to mind Storm Troopers from Star Wars. The car is finished in white paint with black accents giving the Range Rover an emotionless and menacing stare all at the same time. The Range Stormer has been in the works since 2004, originally arriving as a concept. 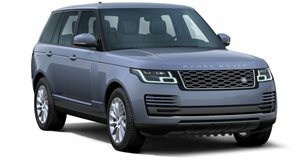 West Coast Customs have taken the Range Rover Sport and, having developed a small queue for the Range Stormer has gone on to produce several units of the SUV. Two known models have made their way to the Middle East, as a white copy was seen in Qatar and an orange one was sent to the Crown Price of Dubai. Four racing bucket seats take the place of original seats, because Range Rovers are tough like that. The interior features a mix of oak, leather and aluminum. Normal and dynamic modes are equipped for everyday and off-road use, respectively. The Range Stormer was customized through West Coast Customs in California.